There are just under 4 weeks to go until our 2017 awards ceremony. As well as announcing the winning story and writer we will also be unveiling this year’s anthology, published by Tangent Books. The cover was designed by recent University of the West of England Illustration degree course graduate, Harry Sussams. Harry submitted a design for the anthology cover project we run every year with the final year students on the course. 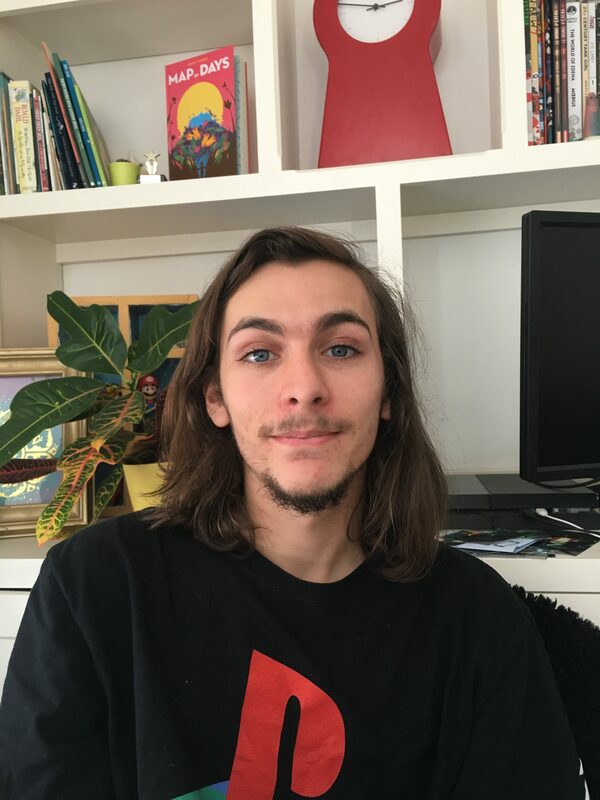 We received lots of great designs but Harry’s bold, confident work stood out, especially in the way it suggests such a broad scope of themes and styles. Congratulations to Harry on such a brilliant design. We took the opportunity of finding out more about his work and this year’s cover. How did you feel when you found out that your design had been chosen for the BSSP anthology cover? It was a mixture of surprise and excitement when I found out my design was picked. I think the thought of having my illustrations printed in the physical world will always be exciting to me. There were loads of great entries that I saw my peers producing, all of which would have made great book covers. I’m grateful for being the one chosen, and looking forward to the launch! How has the Illustration degree course affected your work and your ambitions? Going into the degree I already had a passion for telling and creating stories, as well as for drawing people and places. I think the first and second year were great for allowing me to explore a wide range of media and techniques, whilst helping me define and refine my practice. With the help of tutors and visiting Illustrators, I have discovered many other artists and a variety of potential vocations. In the third year It was great to use what I had learned on a very open project of our own choosing. I chose to design and develop a narrative based on nomads. I feel I’ve greatly improved as an Illustrator since starting the course (both technically and in my ability to think like one), but my interests remain largely the same. I am still interested in telling stories, both the real and the fantastical, and I still enjoy drawing people and places. A lot of the themes that interest me also revolve around the natural world and our relationship to it. I am, as ever, eager to become a concept artist, graphic novelist, designer, animator, and all round drawer of things. You mention stories and storytelling often on your website. How much storytelling goes into your illustration and other work? I believe that stories are fundamental to our identity as humans. We grow up reading, listening, watching and creating them, and I think they have the power to effect the world in a very real way. I’m always thinking up new characters, worlds and stories to tell. Sometimes I’ll write a few notes down, and other times I’ll draw a quick sketch of something. The problem is having too many ideas in my head and not enough on paper. Some of my illustration is done purely for aesthetic reasons or I’m just doodling in my sketchbook, but most of the time there’s a story behind it. What makes a great book cover? A great book cover creates intrigue. A design which complements the story inside and sets the tone, but doesn’t just spell it out. Anything from an abstract shape, an illustration that hints at something more, or even a blank cover with only text. It could be a subtle or bold design, as long as it’s eye-catching. Hopefully my cover sets the right tone for the anthology and people will pick it up. As a rule, how many drafts or re-drafts does a piece of your work go through before you’re satisfied with it? I really enjoy the sketching and planning process. Normally I will do a series of thumbnails and compositional sketches in preparation, to evaluate different options, but when it comes to the final design stage, I tend to keep working and reworking the one image. If I’m unhappy with how it turns out, I’ll go back to my thumbnail sketches and try an alternative design. There were two other designs I developed to an extent before I settled on this one. What are you planning to do now that you’ve finished the degree course? My aim is to continue my journey in becoming a Freelance Illustrator, and develop my storytelling in anyway I can. Whether that be in books, graphic novels, concept art, or the film/animation and gaming industry I don’t see myself doing anything else. I am also currently trying my hand at editorial illustrative work, and have already worked on a few commissions for an indie travel magazine. With numerous personal projects in mind, I will always be updating my website with my latest work and look forward to telling more stories, and working on new and inspiring proposals that come my way. 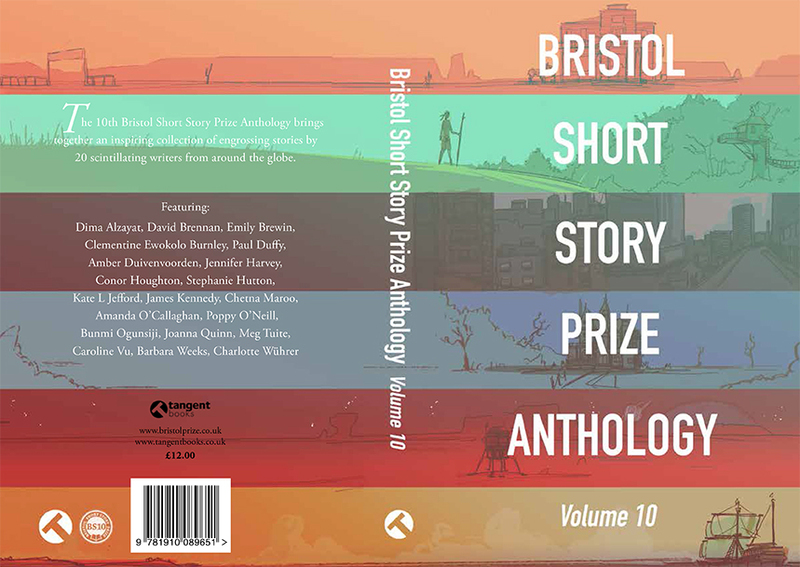 This year’s anthology will be launched at the 2017 Bristol Short Story Prize Awards Ceremony on October 14th. Unit 5.16, Paintworks, Bath Road, Bristol BS4 3EH Office hours: 10am - 5pm Mon - Fri.